I believe our mountains are the most beautiful landscape God sculpted into His Earthly Kingdom. These mountains are home to more than just coal, lumber, and wildlife. These mountains house the most kind hearted, faithful, and friendly people you will ever meet. I’m convinced the Lord must love us a little extra. Why else would He have us live in a land that is a constant embrace? 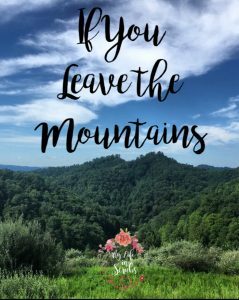 But friend, there may come a day when you will have to leave our mountains. That day will move your heart in ways that cannot be described by mere words. Your heart will quiver with anticipation and excitement at the opportunities coming your way. And then your heart will crumble because you will leave behind everything you’ve ever known. But your journey is just beginning, and while it will be a breathtaking adventure, there will also be days you feel like the wind has been knocked out of you. On those days you will need the strength these hills have instilled in you. Your values, your morals, your beliefs have been sewn into you and rooted deeply. You have heard the voice of God in these mountains as often as you’ve heard it in the church house. These mountains made you who you are. You know it’s not easy leaving home, but You’re strong enough for this. Over the years, outsiders have stopped realizing how capable the people of our mountains truly are. We have been stripped of many opportunities and without you to show them, people will forget who we are. You are leaving these mountains to new uncharted territory that we are unfamiliar with. But you go with a mission, not with a vengeance. Go catch every chance you can. Learn. Explore. Dream. Grow. And later, come home to these hills and show us everything you’ve conquered along the way and how you can help us develop. You’re not leaving because you don’t love our home. Trust me, I know. Friend, you will move mountains. And I mean that literally. We are mountain people, and we are all the more beautiful because of it. As you go out into the world, I want you to move mountains to the forefront of peoples minds when they think of successful individuals. Go out there and show them how intelligent we are, show them how special we are, impress them with our heritage, and please don’t ever let them change the way you speak. Trust me, they will try. Down the road, when you look back at our mountains, promise me you won’t look back at them with anything less than pride. Because these mountains have given you everything they have to offer. These mountains are where you were raised. You fell in love in these hills. This is where your family is. Your friends call this place home. The mountains sing to you. No matter where you roam, nothing will ever compare to Eastern Kentucky. Our mountains made you. Now go out there and show this world what you’re made of. 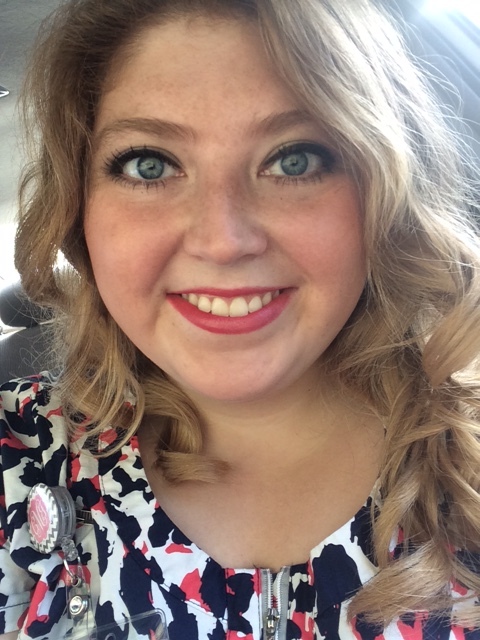 Nursing is a profession that is at the forefront of dealing with the public. 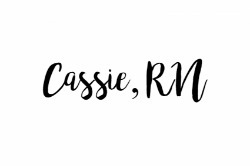 Frequently, when nurses interact with patients and families, it is in their most difficult, scariest, and emotional days of their lives. As you can imagine, with emotions running high, patients and family members can often lash out and become irate. As a new nurse, I’ve found it difficult to deal with angry patients the first couple times I’ve encountered them. 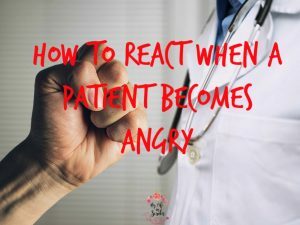 Here are some tips that have helped me learn to react when a patient becomes angry, maybe they’ll be helpful to you as well. 1 – Empathize with your patient. Put yourself in their shoes! If you were in their circumstance, would you be afraid? Or annoyed? Or angry? Maybe their emotions are appropriate for the situation, even if it isn’t appropriate for them to lash out at the people who are trying to help them. Seeing things from your patient’s perspective will help you move the toward a positive outcome. 2 – Don’t take it personally. This is my biggest challenge when a patient expresses anger or frustration to me. I always feel like they are angry at me when in reality, they are angry with their situation. When I remind myself it isn’t me that has caused negative feelings, I can handle the situation better. I typically dwell on the conversation until I’ve convinced myself that it wasn’t my fault, so the sooner I remind myself not to take it personal, the better. 3 – Kill them with kindness. (Code Blue!) Sometimes just returning hurtful words with words that are kind and caring can completely alleviate a situation. Return their frustration with kindness and you might just get kindness back! And even if that doesn’t change your patient’s disposition, at least you tried. 4 – If you can’t say something nice, don’t say anything at all. If you are unable to open your mouth without spewing venom in a situation where a patient becomes irate, it may be better off to not say anything at all. If your words could possibly make the situation worse instead of better, it’s probably best to keep them on the inside. This advice is one of the hardest tips to use in practice, but can definitely save yourself some trouble. 5 – Set some boundaries. Everyone has the right to feel angry, frustrated, confused, hurt, and sad. However, no one has the right to use these feelings as an excuse to be a bully. If a patient or family member continues to speak to you in a disrespectful manner, it may be time to set some boundaries. If a simple, “Mr. Smith, the way you are speaking to me is disrespectful.” doesn’t help the situation, consider asking your supervisor for some guidance. 6 – Remember how they made you feel. The sad, hard truth of life is that at some point, we will likely all experience a time when we, or a loved one, are the patient instead of the healthcare professional. In those difficult times, when you are upset or angry, instead of lashing out at your healthcare team, remember how it felt when you were on the other side of ugly words. And let me remind you, typically things don’t suddenly get accomplished just because you raise your voice. Have you ever been in a situation where a patient became angry? How did you react or respond to them? Let me know in the comments!